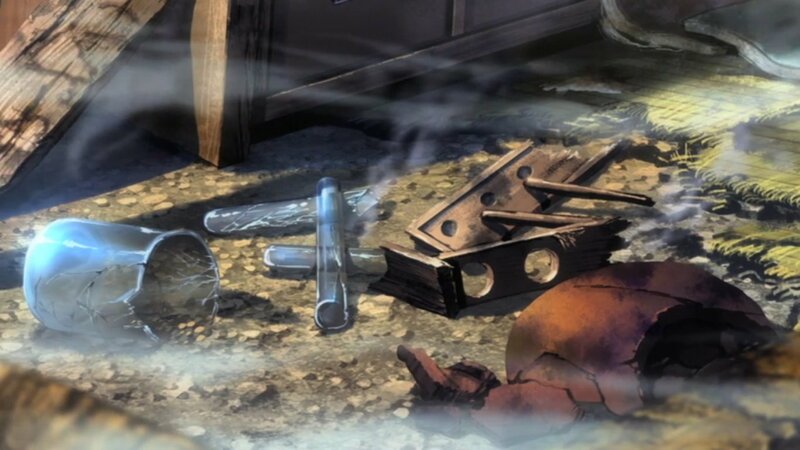 Yukimura’s house burnt down, all research and ochimizu related items were lost. Yukimura is nowhere to be seen. Sannan believes it was nationalists who were suspicious that attacked him. Either way they must find him and hope that ochimizu research wasn’t leaked. Niimi still has his test subjects and medicine that suppresses bloodlust. Kondou talks with Serizawa warning him not to do anything stupid or he will have him relinquish his title. But Kondou’s words are ignored. Niimi has taken the ochimizu and ran. Because the ochimizu is involved Hijikata can only involve people who know its existence. But they’re to keep a look out for now. After fruitless searches Serizawa gets a hint of where Niimi might be. He’s changed his name to Iori Tanaka and is approaching nationalist rogue samurai. They find Niimi at a local Geisha house. With nowhere to run he drinks the ochimizu he has on hand. 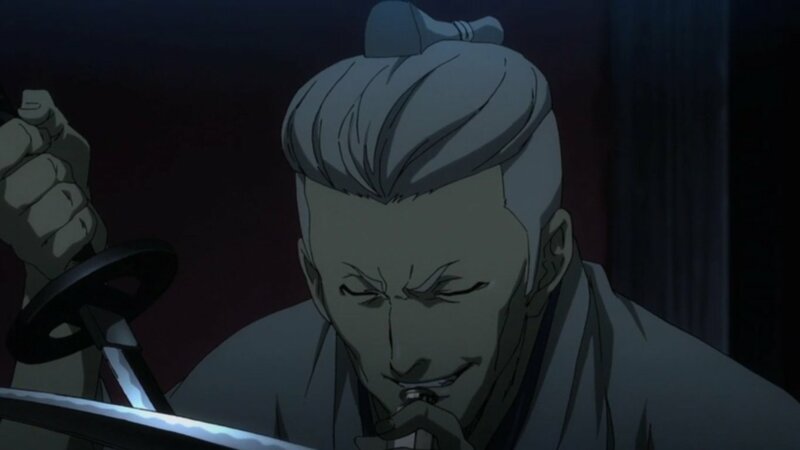 With heightened abilities he fends off Hijikata, Souji and Hajime. After injuring one of them and tasting blood he loses his mind and dies. 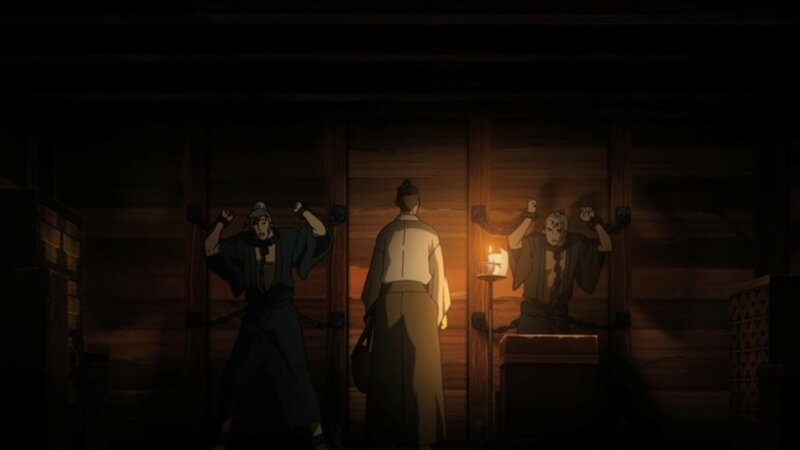 Those above want Kondou and Serizawa to lead the Shinsengumi. But does make me wonder how they will die. Serizawa very likely by illness, Ibuki is the mystery one. I think Ibuki will be killed by Serizawa still. Maybe something along the lines of Serizawa’s illness finally surfacing and he loses his mind and kills him when he tries to help. Then of course he’ll also be cut down. Not really that bothered about Ibuki to be honest, he’s been an uninteresting character and doesn’t even look that nice. All season he’s felt like someone just put there so they had something to start the story with and then tossed him aside. 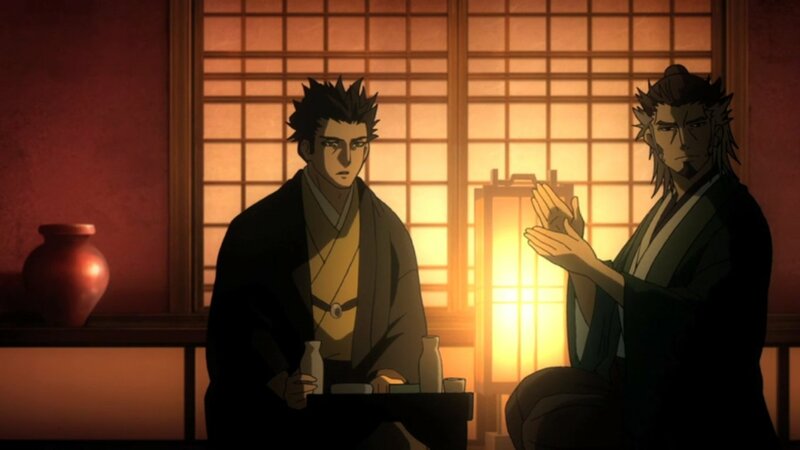 The season’s mainly focused on the Roshigumi turning Shinsengumi story, relationships, large events etc in between. Ibuki was a weak indecisive man who wanted to live, and he’s pretty much stayed the same. I do hope for some big Ibuki development at the end to show us that he has changed, either way it doesn’t bother me. 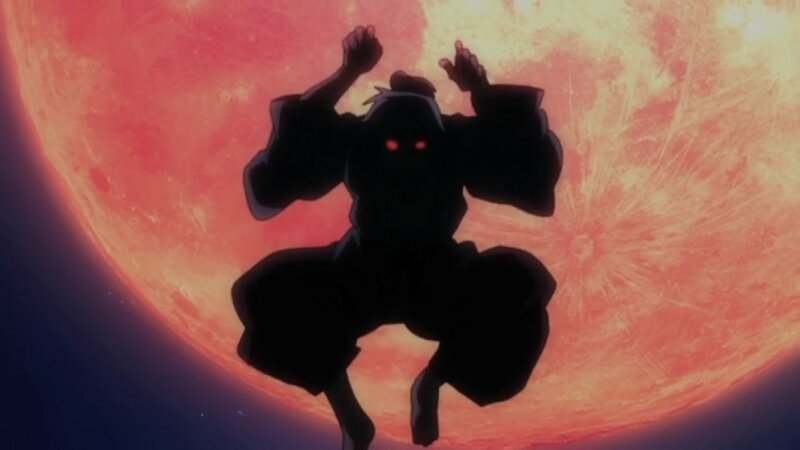 What interests me more is how the mighty Serizawa will fall, he’s had more development that Ibuki and after coming all this way, I’ve slowly developed an admiration for him. He does what needs to be done and will shoulder all the burden. I always admire these types of people. They’re not naïve about ideals or doing the morally right, they know that sometimes you need to be a bit forceful and may need to dirty your hands to get what you want. But still, it’s only admiration, I don’t particularly like him and I hope there aren’t too many of those people in the world.